Barbajuan or barn owl, there is Liguria, the Côte d'Azur, Provence in this delicious fried ravioli that chef Luigi Taglienti, a Michelin star, offers at the opening of his menu dedicated to Italian cuisine «of memory. Here is the recipe served at Milan's Lume. The legend says that we owe the birth of the barbajuan to a certain Mr. Jean, evidently beyond the border of Ventimiglia and probably Provençal. Ravioli that in the absence of sauce, decided to fry for the joy of the guests: they were to find the name of the new dish, Barba Juan, or uncle Jean in Monaco. Watch case 'U' barba 'is synonymous with the' uncle 'also in Liguria, not for blood but in tribute to his wisdom. It is evident that this is a transnational and transregional ravioli, which It is cooked at home, in the trattorias and even in the most famous restaurant in Montecarlo: the tristellato Hotel de Paris. Obviously it does not have a codified recipe, only elements in common are the flour for the dough and the frying in olive oil. On the filling there is a fading, in short: Alain Ducasse for example he prepares it by joining peeled white onions, leeks and green leeks, spinach leaves, ricotta, grated parmesan and a couple of eggs. The weak point (or strong, at the same time) is the presence of the brussu in the filling of the original barbajuan: it is a typical cheese of the Ligurian and Piedmontese peasant culture, especially of the poorer areas. In ancient times it was produced by fermenting crusts or pieces of other cheeses (often also moldy) in the pomace distillate that the farmers produced on their own. Today it is obtained from sheep's or goat's milk, with different techniques, but it remains a creamy product with an intense flavor. «Too much to start a lunch or a dinner, then I replaced it with lighter and more delicate foods – says Taglienti – following my concept of not losing tradition but serving it with elegance, in a path aimed at enhancing our cuisine historical "
Its recipe – for 4 people – provides for the dough 220 g of flour, 10 g of water, 10 g of oil, 5 g of Lumassina wine, 2 g salt. Leave it to rest in the fridge for at least four hours. For the filling that must be homogeneous, 100 g of pumpkin, 20 g of butter, 10 g of chinotto mustard, 10 g of boiled rice and marjoram. «The dough should be pulled very thin, then after filling it, you will obtain small ravioli with a diameter of 3 cm. It is fried in plenty of oil and once drained, it can be served explains the chef of Lume. With a large bubble, Italian and French, immediately put in a good mood. Ovens and atmosphere begin to warm up in Lyon, where the final of the 2019 edition of the Bocuse d'Or, the prestigious international gastronomy competition founded in 1987 by French chef Paul Bocuse, will take place on 29 and 30 January. And so the Italian team, which last year managed to conquer its place among the 24 finalist teams, is ready to take the field – pardon – in the kitchen, with the aim of bringing the Italian flag high, very high. With all the taste and technique that will be the protagonists of the dishes prepared during the race, of course, but also with that elegance of which our nation is undisputed queen globally. Alessandro Bergamo and the president of the Academy Bocuse d'Or Italy, the chef tristellato Enrico Crippa – will in fact be the renowned Lanificio Cerruti of Biella, who in collaboration with the artisans of Filrus has designed and produced two special clothes designed specifically for the competition of Lyon. 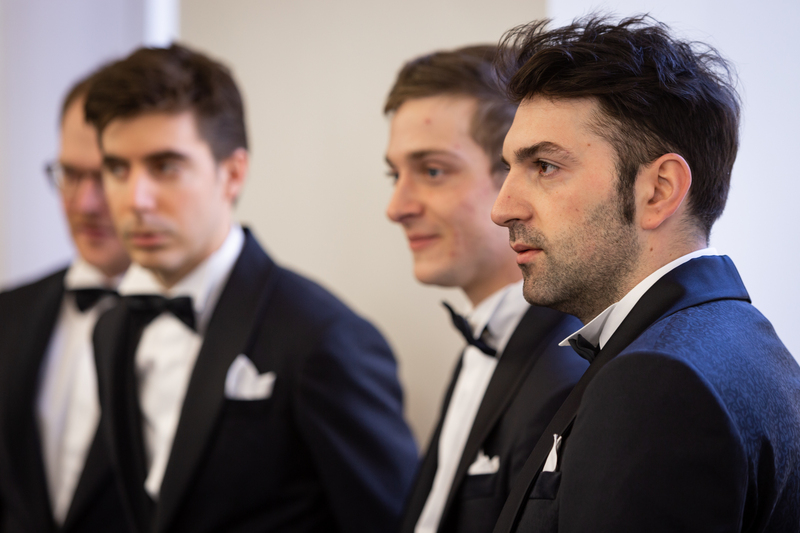 "The final of the Bocuse d'Or will be a unique opportunity to show the world the most authentic and profound values ​​of Italianness – underlines Paolo Torello Viera, Cerruti's managing director. – We want to remember once again that Italy is not that stereotype made of pizza, mafia and mandolin. Today's Italy is above all haute cuisine, design, architecture, fashion and elegance. 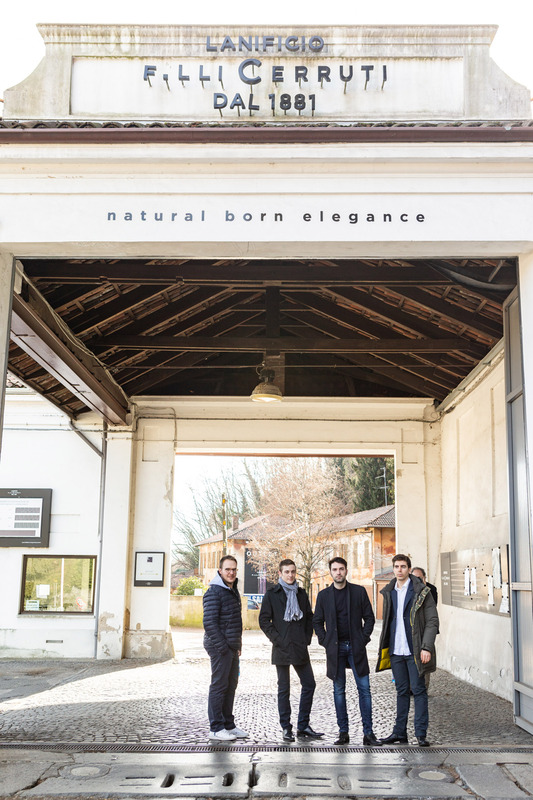 We are proud to have collaborated with Filrus to create the clothes for Martino and the other boys of the team, because we feel to share with them and with the Bocuse d'Or Academy the high quality objectives that have always accompanied our brand and the 'work of Mr. Nino Cerruti, the patron of the company ". Here then is the first dress, the day dress, made with a Korean collar in iridescent Gentleman fabric, of a blue color that turns towards the shades of red. And then the tuxedo for the evening, in Jacquard fabric, embellished with refined damask decorations that stand out in shades of black: a tribute – a little more than a year after his death – to Maestro Gualtiero Marchesi and his concept of chef also protagonist in the dining room, ready to wear the most elegant dress to best accommodate its customers and give them an all-round experience. "For our part, we will try to translate the uniqueness of Italian culture in the two dishes that the competition has requested, the calf carré and the chartreuse of vegetables with crustaceans, trying to avoid any kind of banality -, comments the candidate tricolore, the young chef from Puglia, Martino Ruggieri, today head chef at the Pavillon Ledoyen of Yannick Allenò, in Paris. – The taste will remain the main protagonist of what we will present, because it is in the spirit of our kitchen, but we wanted to include in our dishes also details that recall the art of Giorgio de Chirico and his studies on perspectives. What does "having style" mean in the kitchen? For me it means creating something immediately recognizable. When I create a strong identity in the dish that I create, which can be easily recognized by those who order it and see it arrive at the table, then I can be satisfied ".